(Thursday Sept 21, 2017) - Vancouver is a city in the heart of the Pacific Northwest, renowned around the world for its majestic mountains, pristine waters and stunning beaches. Recently, Vancouver’s also been making a name for itself for another reason. 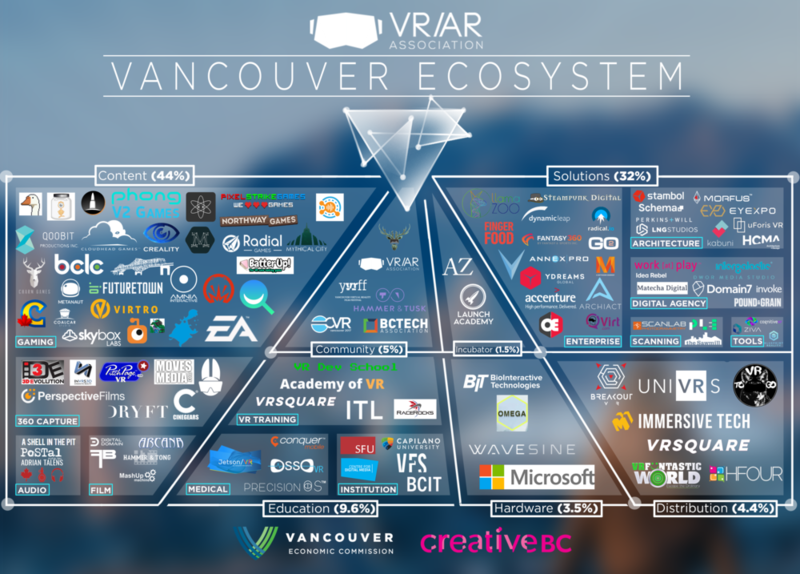 The city has become a global hub for VR/AR/MR and is home to 130+ innovative companies. in the space. These companies are solving problems, creating immersive storytelling experiences, educating and building the next wave of computing. A 40-plus-year legacy in film & television production. More than 30 years of cutting-edge VFX & animation. World-class games & mobile entertainment cluster over two decades in the making, a strong tech scene and one of the top startup cities in the world. VRARA VR AR Panels during Advertising Week New York - RSVP Now!